So you have found your dream wedding venue. Here at Arbutus Hospitality, we pride ourselves in taking care of everything involved with the catering of events, which allows for you to sit back relax and enjoy the most magical day of your lives. 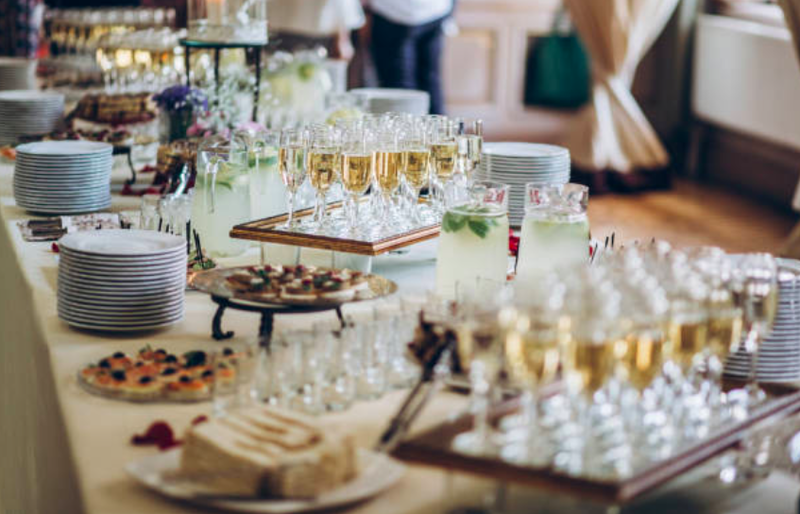 We offer more than just catering, our specialised staff are always on hand to offer unwavering support throughout your planning and decision-making process, after all, it can be a stressful process making sure every decision is the right decision. Everyone wants their wedding food to be absolutely perfect, and what’s more perfect than serving your guests deliciously seasonal food? Being in the season not only means that your food tastes better but also that the ingredients are readily available locally. Adding a slight theme to your wedding is what really makes it special for you and your partner. This can be anything from personalised cocktails, personalised desserts or even a little personalised sweet as a favour. It’s very important to check on your guests dietary requirements when asking for the RSVP. here at Arbutus Hospitality, we have some amazing gluten-free and vegetarian options, Just ask a member of our team. After a long day of partying, dancing and chatting your guests will need a Midnight snack to reenergize them. This can be something simple such as fish and chip cones, a finger buffet or little canapes. Let us take care of your guests, with our first class service. It is sure to make your special day that little bit more stress free.